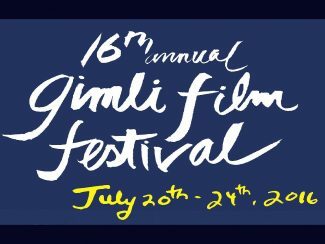 From July 20th to 24th, the Gimli Film Festival will be holding its 16th season. When the sun sets on our beautiful lakeside town, hundreds of people will make their way down to Gimli beach with their blankets and chairs. There, under the stars and the northern lights we will be transported into new worlds and new experiences. The Gimli Film Festival is dedicated to celebrating the art, education and entertainment of film! The Gimli Film Festival showcases over 100 features, documentaries and shorts from Manitoba, Canada and the world, that promise informative, fascinating and riveting entertainment. We will showcase the best new films from Canada’s most promising directors and an exceptional selection of features, documentaries and shorts from around the world. To view the film schedule, buy tickets or find out more about the GFF, click here.